There are few directors in cinema who have such a bleak view on humanity, and indeed the world as a whole than Todd Solondz. His films are usually in your face, filled with violence and kink, and you don’t usually want to watch them or even hear the title again. 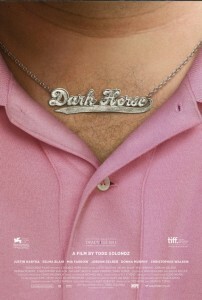 With Dark Horse however, Solondz seems to be steering a little more towards a compassionate view on human beings. Jordan Gelber plays Abe, an overweight, childish, thirty-something man-baby living with and off his parents (Christopher Walken and Mia Farrow). Abe though spots a way out of his pathetic little existence when he meets Miranda (Selma Blair), an incredibly depressed and damaged character. Abe proposes to Miranda at the very wedding at which they meet, and much to Abe’s surprise Miranda accepts. Miranda’s acceptance catches Abe off guard to such an extent that he starts to suffer crippling self-doubts that bring on various hallucinations. What makes this so different from the rest of Solondz’s movies is that it is not as confrontational as usual, and it refrains from violence. The unbelievably tragic and often infuriating protagonist though is classic Solondz. Jordan Gelber puts in what has to be the best performance of his career as Abe, a man who throws tantrums at work when he’s asked to actually do something, and has a bedroom dripping in toys and memorabilia from The Simpsons, among other things. He is basically a spoilt brat, and there are many occasions when you want to climb into the screen and beat some sense into him, but at the same time you do feel an uncomfortable empathy for him. He is desperately trying to break away from his parents (an overbearing father and overindulgent mother) to try and live a life of his own, but when he finds that could very well become a reality he recoils back in favour of his old routine. The always underrated Selma Blair as usual puts in a stellar performance as the damaged Miranda, appearing for the second time in a Todd Solondz movie. Mia Farrow and Christopher Walken however are for the most part surprisingly restrained. Walken though is sporting one of the most ridiculous toupees in the history of cinema. It’s never made completely clear if this is intentional or not, but considering the wry humour Solondz you have to think it is intentional. 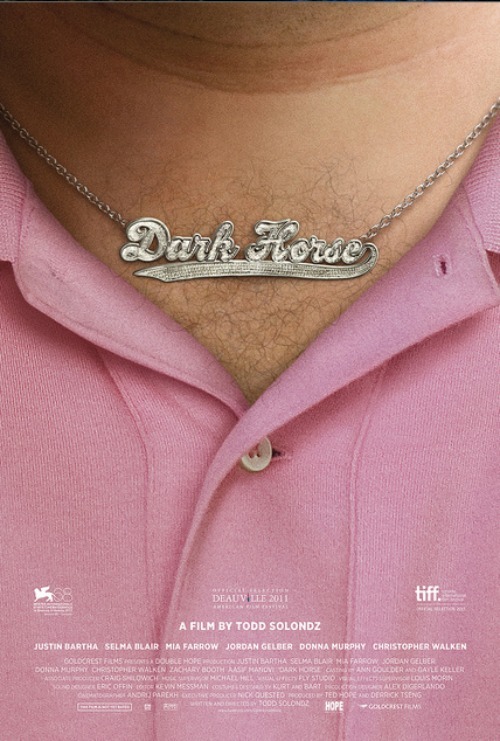 While this isn’t something you should watch if you are looking for a lot of laughs, there are smatterings of wry pitch black humour that will please some people. Others may see this as Solondz chickening out of his usual cynical ways in favour of something with a little more heart. A very tiny bit of heart true, but it still shows. It’s doubtful that this will herald a change of direction for Solondz, but this still remains an unsettling and very effective experience, with a couple of superb performances from Gelber and Blair. © 2012, City Connect News. Copyright Notice & Disclaimer are below.